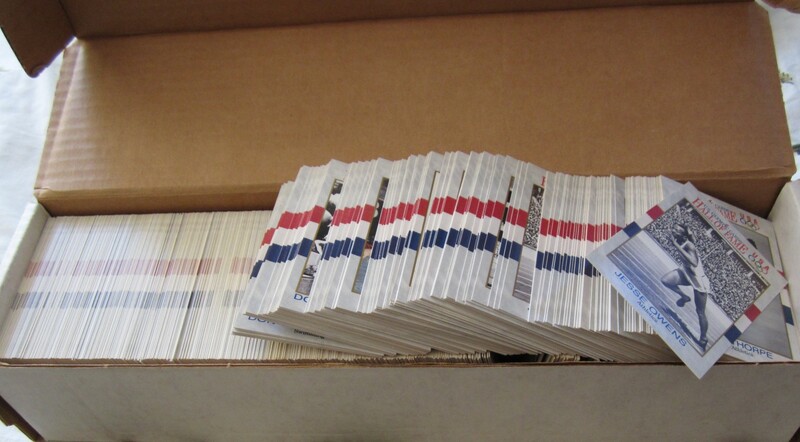 Lot of APPROXIMATELY 800 assorted U.S. Olympic Hall of Fame cards produced by Impel in 1991. The lot is heavy on some cards but certain cards are missing entirely, thus no complete sets can be made from this lot. The overwhelming majority of cards grade NrMt-Mt or MINT. ONLY ONE LOT AVAILABLE FOR SALE.